Watch Hello Guru Prema Kosame Movie Success Meet Live Online. The Hello Guru Prema Kosame Telugu movie featuring Ram Pothineni, Anupama Parameswaran, Pranitha, Prakash Raj, Posani and others is doing decently well at the box office. The film directed by Trinadha Rao Nakkina, has been raking good collections and is going forward with a positive response from all section of the audience. 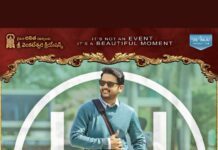 According to the reports, the Hello Guru Prema Kosame Full Movie has collected Rs 7.45 Cr shares at the box office of both Telugu States, Andhra Pradesh, and Telangana after the successful run of 2 days.